Joy Reid officially began her new show on MSNBC a couple weeks ago, after serving as permanent fill-in for Melissa Harris-Perry, who had a major falling out with the network in February 2016. It’s interesting to note that most dayside programming has been unbranded, dropping titles such as “NewsNation with Tamron Hall,” in favor of “MSNBC Live.” Even Reid anchored for many weeks under this banner. To this day, depending on if it’s a big “election week,” MSNBC will use its election graphics for shows, dropping their signature looks and themes in favor of the generic across-the-board package. 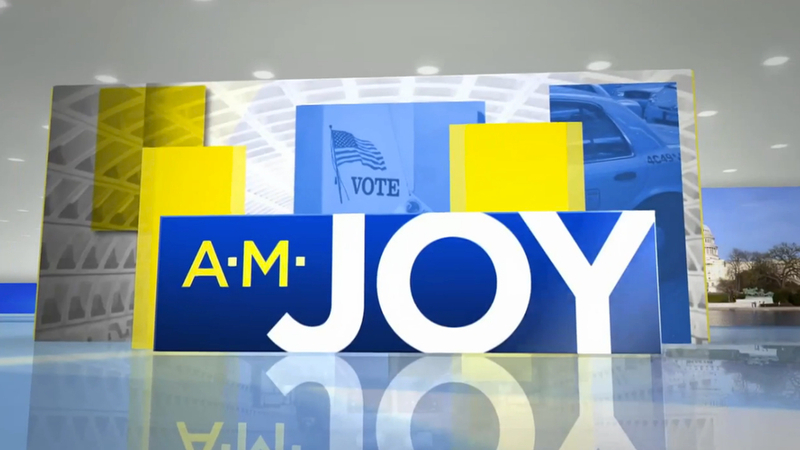 So, it’s surprising “AM Joy” was given this look now, not waiting a few more weeks, as they have continued to swap in and out the election look during the broadcast. 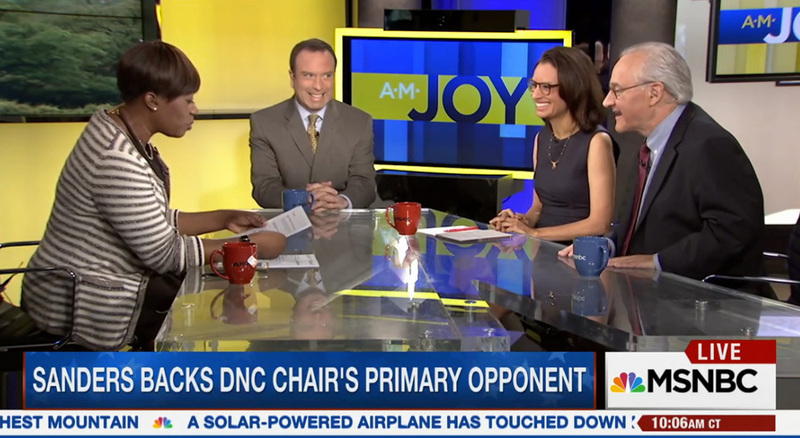 The overall design builds on the design language introduced with the “MSNBC Live” rebrand, using a glossy room with ceiling lights with blocks moving through it. These blocks featuring photos of New York, Washington and elections. The show then recolors the backlit portions of the various MSNBC studios to yellow and blue, creating a dynamic palette for the show.